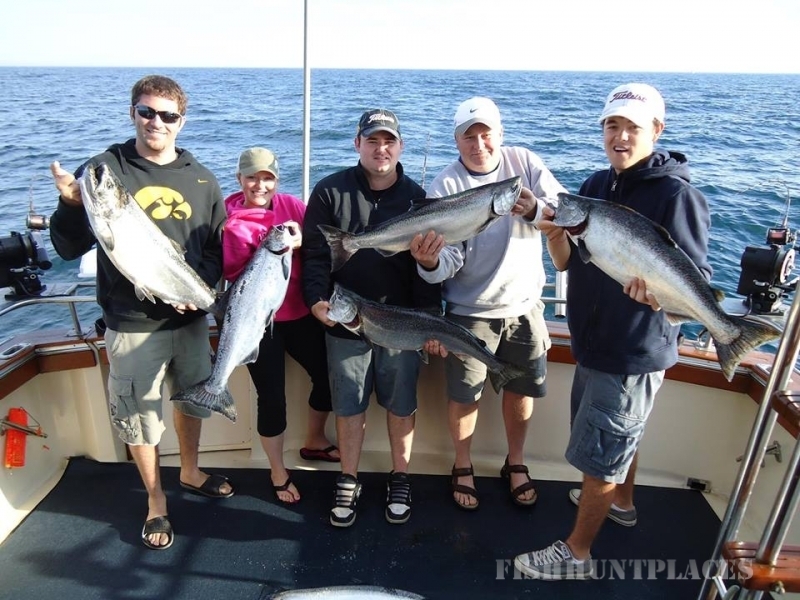 Lake Michigan charter fishing trips. 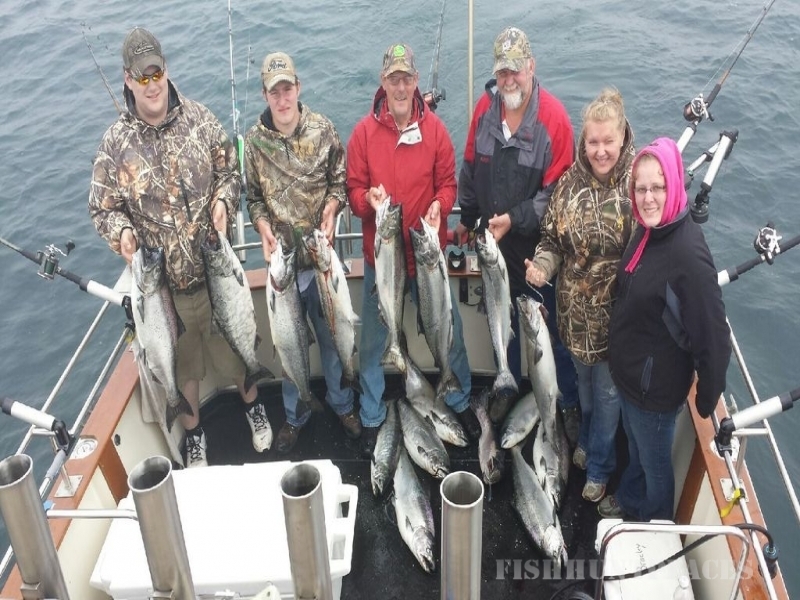 Winthrop Harbor, IL April & May and Kewaunee, WI June thru October. Two large Chris Craft boats fully equipped with the latest in fishing equipment. 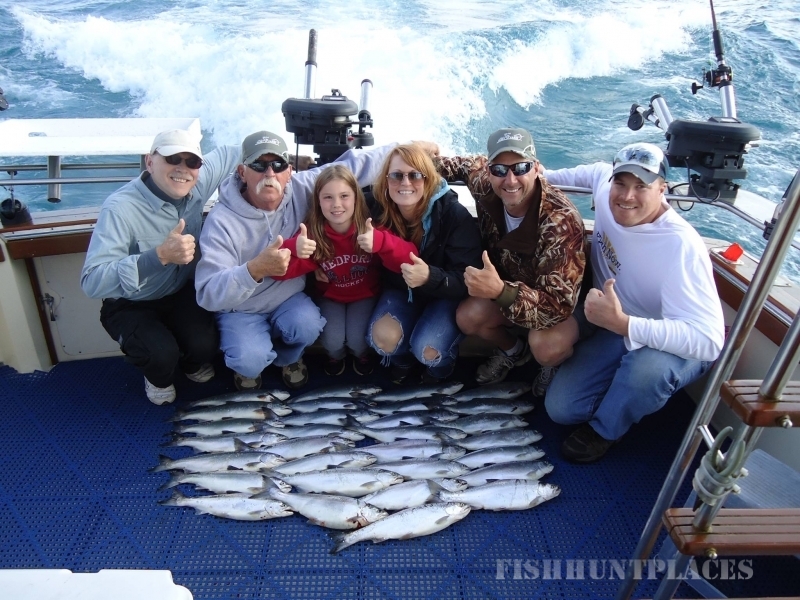 Years of fishing experience produce excellent catches. 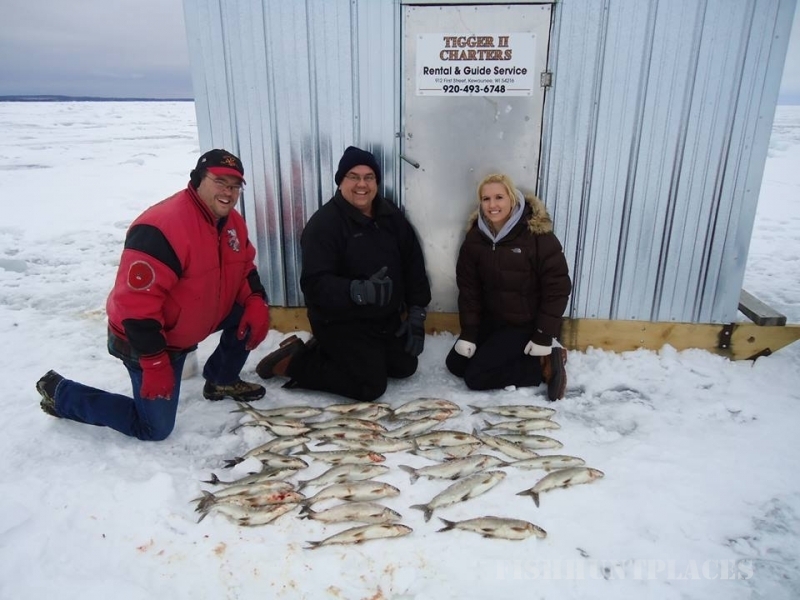 Guided ice fishing trips on the bay of Green Bay for Whitefish December thru March. Also renting heated ice shacks.